When it comes to Bachelor in Paradise attractive people from different ethnicities go on a Mexican getaway with the hopes of finding love. 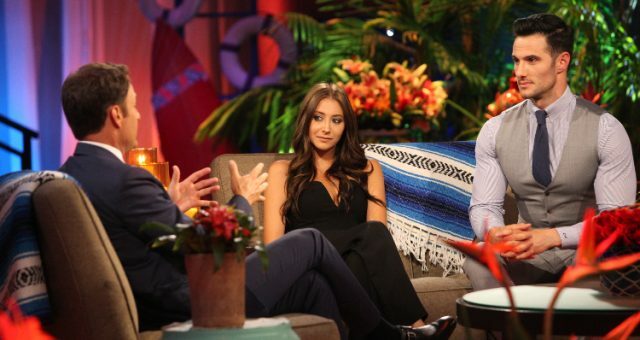 Taylor Nolan from Bachelor in Paradise is a contestant whose ethnicity has been questioned since she appeared on Nick Viall’s season of The Bachelor. Keep reading for more details about Taylor Nolan’s ethnicity and bio. Taylor Nolan was one of the many contestants who did not get along with Corinne Olympios on The Bachelor season 21. The two had one of the most explosive arguments of the season, and it ultimately resulted in Nolan packing her bags after a two-on-one date. Although she was eliminated fairly early on The Bachelor, she did not give up on love. 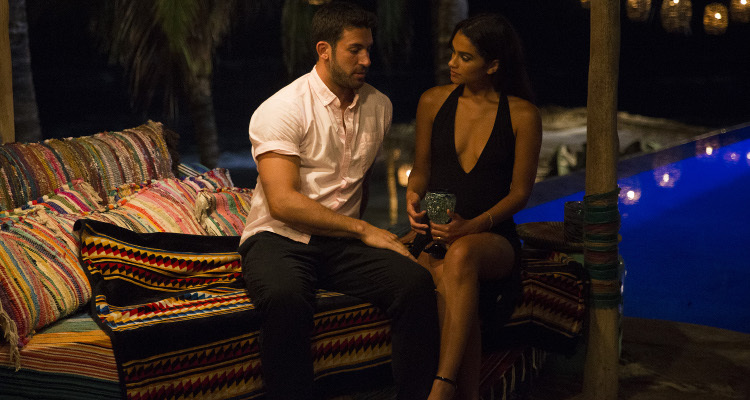 Nolan is now on Bachelor in Paradise season 4 and it looks like she might have found someone special! Taylor Nolan and Derek Peth seemed to hit it off right away, and are going pretty strong. However, we are only a couple weeks in, so chances are that they will head for splitsville soon. Why, you ask? We last saw Nolan and Peth discussing their communication skills. Nolan was concerned about Peth’s tendency to run away from confrontation, to which he responds with an f-bomb. Nolan was visibly upset, and left Peth puzzled. She later told him that she was emotionally and verbally abused in previous relationships. He claimed to have been joking, but Nolan was still triggered. At the end of the ordeal, the two ended up apologizing to each other. Though a lot of fans are rooting for these two to make it, others are wondering if they will make it to the end after their argument. Not a lot is known about her background, and there are a lot of questions about Taylor Nolan’s ethnicity. If you want to know more about Taylor from Bachelor in Paradise’s ethnicity, then keep reading. Taylor Nolan’s age is 24 and she is from Seattle, Washington. The brunette beauty is a licensed mental health counselor associate. One look at Taylor Nolan’s Instagram shows the various modeling shoots she did, and just how stunning she is! When Nolan first appeared on The Bachelor, she revealed that she is biracial, with a white mother and African-American father. While opening up, she revealed that she had trouble growing up, as she never felt like she fit in, and was treated as if she was not enough of either ethnicity in order to make friends. We can see that she definitely has no problem making friends now, and can only wait to see how things work out between her and Derek Peth on Bachelor in Paradise.